You want to remember every detail of your wedding day—from the moment you wake up to the last dance of the night. Every second counts as family comes together, memories are made and two become one. In a perfect world, each detail would be carefully etched into your memory forever, from the colour of the bouquets to the dinner plates and name of the band. But with so many exciting things happening (mainly, you tying the knot! ), other moments of the big day are bound to be forgotten. This is the beauty of pictures—they provide surprises for your enjoyment later when you reminisce about your special day. So why wait for your professional pictures to come back? 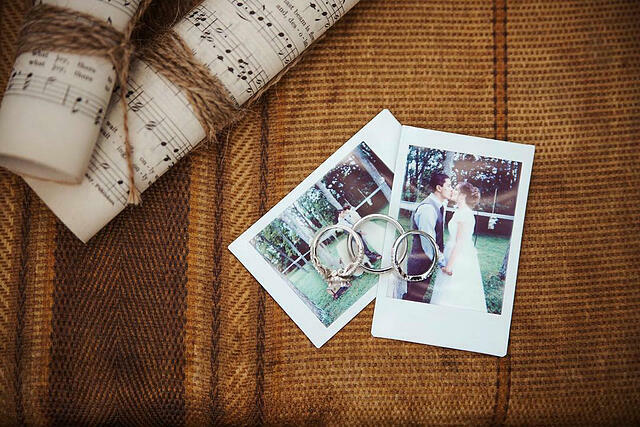 Chances are all your guests will have their smartphones, so try our instax SHARE printer to get pictures on the spot for even more wedding fun! Take a picture with your smartphone. Send the picture with the instax SHARE app to the printer. It’s as easy as downloading the instax SHARE app on your smartphone to send your pictures and print for instant keepsakes. Create silly poses and get quality selfies with friends and family members—guests can keep them as gifts from the happy couple. You can take the instax SHARE printer anywhere, and it’s easy to set up for any event. So use it as an icebreaker for your guests to take pictures of each other to print out, or capture their best moments on the dance floor. You can even print out multiple reprints of the same pic to give out to a group. Cherish every moment and go the extra step for a personalised photo with a template to border your picture or try the many filters and make it all your own. It’s that simple. Download our free app today, and get the instax SHARE SP-1 smartphone printer at a retailer near you.